Mill Falls in Kejimkujik National Park in Nova Scotia is a vision of beauty as the water from the Mersey River flows over the rock ledges. Surrounded by wilderness, the Mersey River travels for quite a distance through Kejimkujik National Park in Nova Scotia before it makes it way over these rock ledges creating Mill Falls. As the water rapidly flows downstream over the boulders, small whirlpools swirl in a variety of places along its way until the Mersey River reaches the bottom pool and calmly continues its journey. 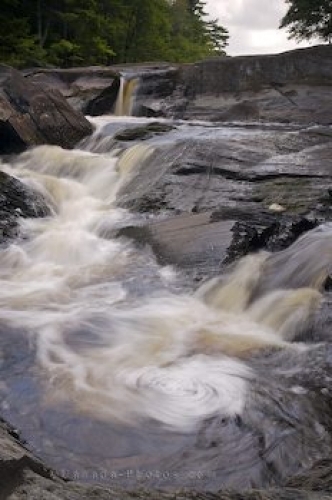 Picture of Mills Fall along the Mersey River in Kejimkujik National Park in Nova Scotia.